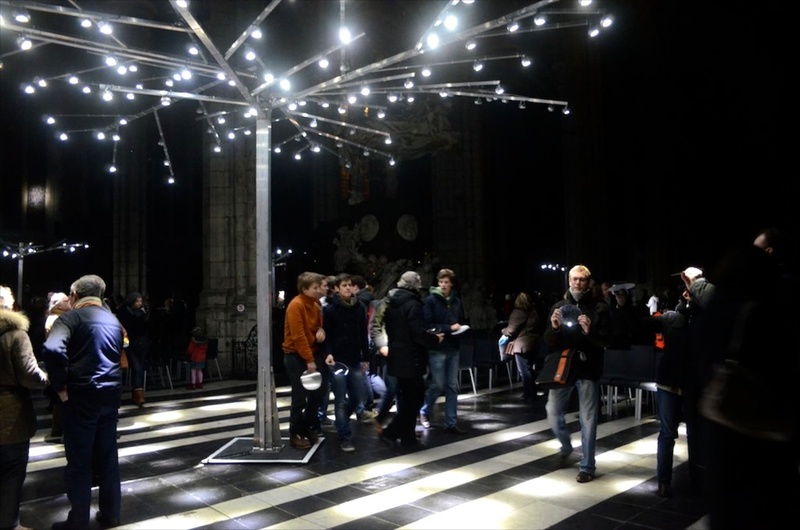 The ‘BEAMTREE’ is an installation of lighttrees scattered in the Saint Bavo Cathedral. 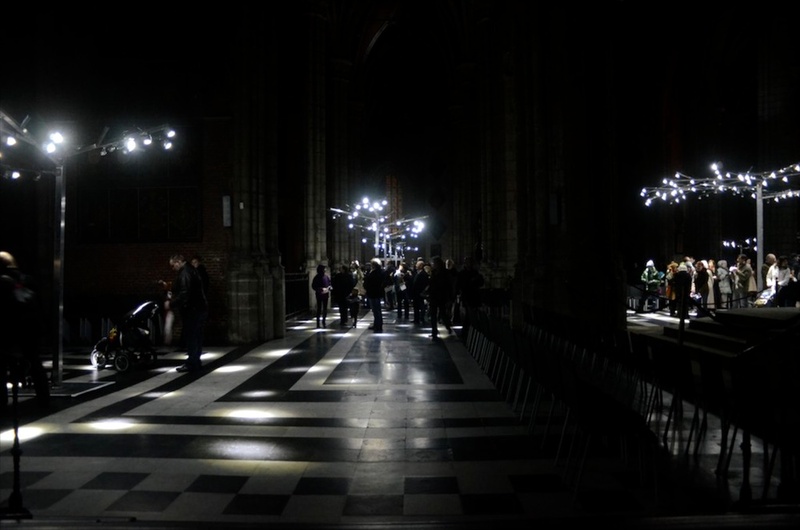 With the help of a small handmirror, the visitor can lighten up his or her own piece of the (otherwise dark) cathedral. 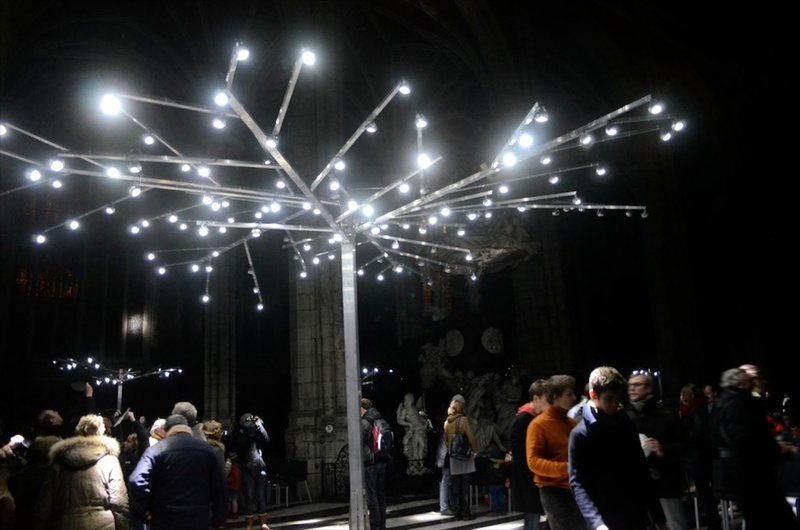 This way, up to a 1.000 people can create their very own and personal lighting plan at the same time.